Comprehensive home elevator installation and repair services for homes and residential buildings in Nottingham. Tower Lifts is proud to offer the total service package for domestic and commercial properties of every size and specification. Designing and installing bespoke home elevators for Nottingham for more than 15 years, we know what it takes to maximise accessibility and convenience. 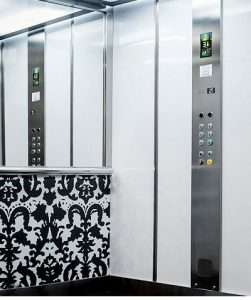 Whether looking to make your property more accessible for wheelchair users or simply improve its existing vertical transport systems, you can count on Tower Lifts to make it happen. We can help transform the accessibility of your interior and exterior spaces alike. Tower Lifts Nottingham team specialises in dynamic, flexible and reliable lift installation and maintenance services across the UK. Whatever the size, age and general layout of your building, our home elevator installation services have you covered. Our experience and expertise extend to every type of external platform lifts for improved access, traditional elevator systems for efficient vertical transportation and so much more besides. By taking into account the specific requirements and budgets of every client we work with, Tower Lifts is able to devise and deliver uniquely cost-effective solutions. Whether ready to go ahead or simply considering the available options, we’d love to hear from you. Get in touch with a member of our Nottingham lifts team today for an obligation-free consultation. If movement around your home has become problematic for any reason, we’re here to help. We understand how issues with accessibility around the home can be incredibly distressing, having an adverse effect on your enjoyment of life every day. The good news being that with our creative and innovative approach to lift design and installation, a reliable transportation system for your home could be surprisingly affordable. We work hard to ensure that every home elevator installation suits the requirements and budgets of our clients flawlessly. Operating as an independent British business, we’re committed to providing nothing but 100% honest, impartial and objective advice at all times. We can help guide you through the available options and ensure you select the best possible solution for your needs. If you already have an elevator or similar transportation system at home, Tower Lifts can help ensure it stays in the best possible working order at all times. From scheduled maintenance to emergency repairs to planned upgrades and updates of your existing systems, one call to Tower Lifts is all it takes. 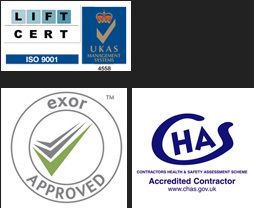 We’ll happily carry out a full inspection of your property and any existing installations, in order to determine the best possible course of action. After which, we’ll get to work designing a 100% unique transportation solution you can count on.